Been getting a lot of questions lately since my Resistance Pro debut about how I went from this…..
Resistance Pro's future tag team champions, Lock-Up. A much saltier Sugar D on the left, Aaron Epic on the right. What can I tell you? I aim to cause cardiac arrests. But it leads me to the subject matter of our blog this day. Why can change be such a scary thing? Once you start bending the rules of what is engrained; grounded people can become irrational and unhinged. Isn’t that life however? No forevers or constants? The only promise being the promise of change. No memos, carrier pigeons, telegrams, texts, or psychic messages. Get with the program or get gone. Wrestling has GOT to be one of the best examples in terms of a fanbase who lives by “if it ain’t broke etc etc etc…”. As vocal as they can be about what they don’t like; sudden changes go about as well as death metal at a Baptist revival. 2. Get the “F” out (WWE’s name rebranding). List goes on and on. Some complaints are warranted, others not so much. My point being that without change, we enter a new realm defined as “stagnant”. Showing no activity; dull and sluggish: “a stagnant economy”. So when I was approached by Resistance about the idea of Lock-UP, I wasn’t sure how to handle it or think on it. It wasn’t a change I was interested in on the surface. I can’t stand stereotypes. I’d like to think people are how they are and while they may be funny to laugh at or poke at, a life being defined as one can be insulting. Wrestling especially hasn’t been kind to most African-Americans in terms of portrayal. Hell, a lot of nationalities for that matter. When you plot a gimmick around race as the BASIS instead of the character as the basis and their race as a support, then offense and lack of feeling for the character often follow. So when I decided I was going to take on a basketball gimmick and later, a racier prisoner persona, I always made sure to go into these with ONE thing in mind. I’d like to say it’s been mission accomplished no matter how you see me. I also want to assure that my wholesomeness and dedication to entertain hasn’t been compromised because of my moonlighting as a prisoner of KOA Penitentiary. Did Denzel suddenly stop being an incredible actor because he did dirt in Training Day? Or perhaps the late Heath Ledger lost all of his pretty boy status the moment he did his iconic portrayal of The Joker in The Dark Knight. Both of these MASTERS of their craft not only won Oscars for their work, but they challenged everything we thought we knew about their abilities. In the process, they even challenged themselves. The change you started out hating became a standard you’d never accept anything less than now. I’ve always hated when any performer finds a formula and gets lazy. They lose the fire to better themselves and ultimately, create a better experience for the eyes fixated on them and the hearts waiting to be sent into a frenzy. So when a packed house at The Excalibur stopped seeing me as a smiling, slapstick cartoon of a wrestler and got behind an intense, sharp, caged animal of an imprisoned scraper fighting for eventual freedom; voices in unison as they chanted for our performance as we were being chained back up like wild dogs….it changes what you know you’re capable of. There is no “act” as one telling of Sugar vs the other. They are all sides, thoughts, and emotions of the same soul who’s writings you’re reading. It’s the layers that separate the guys who fill holes on cards vs. the ones who actually stand out. They saw a change that they couldn’t deny once they accepted it. If all you see is a strut or an orange jumpsuit, look closer. The nuances and details are what breathe life into content. There are heels and then there is William Regal. For my Regal fans out there, you know why he’ll live on as one of your favorite villains and it’s not because he played it safe with the material he was given. He ran with it. Even when he was a good guy, he made a hell of a good guy and it was a change we welcomed. As a performer or looking on at this art, change is what leads us to new frontiers and grand experiences that surpass the ones we knew. We can’t fear a new take on an idea we’ve grown comfortable with and I never knew a time when our business thrived on being boring. Challenge yourself. As a fan, open your mind to like something unless it’s obvious no care has been put into the change. As a performer, taking that unknown step may be the step on the gas pedal needed to carry you to the next level. Have the guts to make that move. Scared money don’t make none and history isn’t written by the wusses of this world. – I’d like to give shouts to newest #KOA member TAKA Suzuki (@takasuzuki1real on ze’ Twitter). Ken Scampi and Bill Carr of Team TREMENDOUS, and Beyond Wrestling for allowing this match below to have happened. Most fun I’ve had this year and I’m so pleased at the response this has gotten as a whole. This year has really been about letting go and just GOING FOR IT in my matches lately, be it serious or fun, and with results like this; I’d say that mantra is what I needed. I have received questions about it and YES, myself and TAKA are available for bookings as RUSH HOUR (yes, original I know. So is every other thought in wrestling :p) and we look forward to turning out a ring near you. Enjoy guys! -Upcoming shows for me including AIW‘s April 6th event “Straight Outta Compton” vs ACH, Gary Jay, and Eric Ryan; HWA‘s Heartland Cup tournament on April 20th & 21st; Midwest Wrestling on April 22nd which will feature the first LIVE edition of the Halfcourt Lounge, & I AM confirmed for AIW’s JT Lightning tournament on May 11th & May 12th which should be quite the field! Come check me out and those are just a few of the dates I’ve got going on. More in the future and in between! – Special shout and good will going towards my dude, Uhaa Nation (Give the sensation a shout over on @UhaaNation). Jonathan Gresham was always high on Nation, telling me that if he ever got a real chance, he’d blow the wrestling’s mind. He did just that on a faithful day in Indiana during Dragon Gate’s tryouts and not only impressed, but went on a tear that encompassed DGUSA, overseas for Dragon Gate, CZW, EVOLVE, and others. Most of all, he’s a humble soul with a real love for this business. His work ethic is insane and it hurts to hear about his DGUSA injury coupled with the fact that he will see nearly a year of inactivity due to it. Some guys are blessed with tools, but lack the heart for you to care if they make it or not. No question about the heart on Nation. He wants it and I expect him to be back on a tear like no other when his body is ready for it. From a fellow Down South Georgia Boy who could see what all the hype was about in the PERSON, not just the matches, you need to get back and soon. I’m sure it won’t just be me that’d agree, daddy-o. Best wishes. You may have recently seen this video pop up on the internet for the EWF’s(http://www.ewfarena.com) X8 tournament in Converse, Indiana…..
A word about this one. 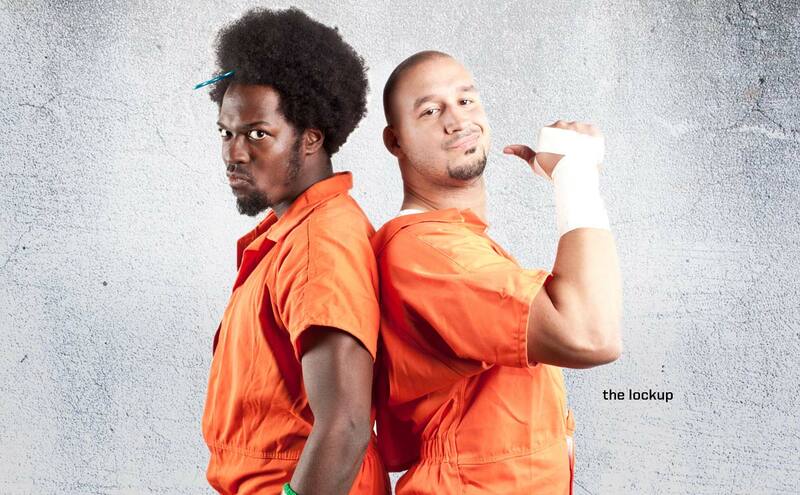 @HitTheRopes: “Watching @sugardunkerton‘s video http://bit.ly/ygyBeF and I immediately thought that the WWE would probably love it for their B A Star stuff. Thanks. And for anybody that this promo spoke to on a personal level, I’m happy it did. In life, you WILL be judged for chasing for positives and negatives. Period. No getting around it. I’m fortunate enough to be at a place in my life where I can look back at situations like this and those that try to create situations like this for me and work through it. NEVER let anyone enjoy that kind of power over you in the chase for your dream. Even now, I’m aware of guys older, more experienced, and supposedly tougher that don’t have the guts to say what they mean about me; to me. Schoolgirl stuff. Questioning my position, stature (lack thereof? :P), and HEART for what I do. That’s a laugh. The joke gets funnier when those are the cats who will never see those stamps on their passport. Never see those sights I’ve been blessed to see. More importantly, they don’t have the heart or general POSITIVE ENERGY to touch souls and motivate the way they could if they weren’t so caught up in “girl talk”. For all my failures and successes, I take accountability for it all. Whether I soar to heights above the clouds or crash and burn in a heap, I can say I wasn’t scared to see how far down the rabbit hole we can go. I pray if you’re reading this, you let nothing stop you in the pursuit of leaving your stamp on this world. You will be tested, tried, and talked about every step in the way; but it’s the success that supersedes all of it if you’re brave enough to weather the storm. I look out at so many people I’ve met and I talk to. You’re all beautiful stars, shine brightly and I hope what you’ve seen there in that above video is more than just words. It’s a true story that you can make it and defy expectation with the right spirit. With that said, I look forward to seeing you guys this Saturday at EWF’s X8 Tournament. Load of great talent on the card and looking to be a near sellout if not a plain sellout come show day. Also, I appreciate the support from you guys as I delve into a different play on my character with Resistance Pro under the “Lock-Up” tag team with my partner and good friend, Aaron Epic. I’ll have my tales of that adventure and my feelings on such a drastic change in character in a future blog. For now, sleep sounds like a good idea. Shine bright guys, you were meant to. Lets drive the lane hard in 2012! You should watch this first before we continue. I’ll wait. People get funny when talk of change comes up. Usually you’re on one side or the other; resist or make the movement. We are each our own person and we gotta make our own choices as to which changes to battle and which ones to succumb to. The foolish ones are those who think they NEVER have to change. Newsflash. You can’t escape it or help it. Comfort levels have expiration dates like anything else. You don’t have to make the change with everything, but you WILL have to do it on some level. Which brings me to our little excerpt from “Layer Cake”. Change frightens people because they’re not sure what layer of the cake they’re gonna end up on. I’ve also noticed some are too scared to make the change to rise higher on the cake. Maybe they’re just used to their level. Who knows? So here I am. Sitting in front of this Macbook with Kendrick Lamar’s “Section.80” album for mood music (if you’re late to the dance, find a copy. Most refreshing thing out of the Cali rap game yet) thinking about the changes I’ve gone through in my own life. Some I chose and some chosen for me. I lost a lot of things headed into 2012 and initially; I was angered at the thought of the things I knew being taken away. Then time passed. I stopped looking at the now and looked at what was ahead and answers became clear. You can’t make space for the new without pushing out the old 😉 then you realize something with that change. The things you lose can and do get replaced; oftentimes better than what you had, but it’s all based on if you got the guts to know that you can have what was and then some. With that said, 2012 has been such a self-discovery as to who I am, what I want, and what else I can accomplish. I’m still as hungry as ever, but the focus isn’t as reckless as it once was. Yes folks, more than my hair has grown. This year is gonna be full of accomplishments and hard work for that next level in the layer cake, but with the sensibility to enjoy the little things and the special people around me who nurture and support me beyond those ropes. Not ashamed to say my personal life plagued me with situations I created for myself and others people created for me. That time is over. So if you’re out there reading this and wondering when your change is gonna come, here’s your indication. It’s happening as soon as you make it. YOU are the fuse. Now spark it. -A person I was so close with turning into someone I don’t know or care to know anymore. -A close friend of mine betraying trust in a major way. -Working 3 jobs just to be broke. -Sitting on the verge of calling it quits for a business that I’ve loved forever. -The loss of my dear friend, Brittany Berry. It felt like one thing after another. Yet here we are. Money in the bank (shawty what ya drank), a site and movement in Brittany’s honor (Do It For Brittany), finding out just how strong some wonderful friendships and people have run in my life, and just learning to appreciate things on a level I didn’t know I could. No dark clouds, just new goals 🙂 I’m still here and I’m hoping if you got ills in your life, you’ll push to overcome too. And I owe so much of it to you. Yea, you. Scrolling down this post as we speak. You kept me going. Cheered me on, texted me, Facebooked me, emailed me, hung out with me, whatever you had to do to make sure your mark on me was positive. You pushed me to change that I NEEDED. You’ve shown me a better way. I’m motivated to make something happen because of you. And I will. So with all the deeply introspective uber-personal type stuff out the way, lets talk some other issues yes? RESISTANCE Pro's Vicious Circle on 2/17! I’m rather excited for RESISTANCE Pro. Can’t even lie. They were the perfect segue-way regarding my talk about changes. There’s something so very different about the kind of company RESISTANCE is, helping it stand out like the CHIKARA Pro’s and Beyond Wrestling’s of the world. From the talent they use to the way they carry themselves, it’s something worth watching. People have been commenting for a bit at how my general style in the ring has grown and matured. My travels and a pair of open ears have opened up some new ways of doing what I love. Outlets like Beyond Wrestling’s Tournament for Tomorrow, EVOLVE 9, and others have been slowly trickling out more and more of my capabilities. RESISTANCE may end up seeing them unleashed and in a way the world may not be expecting. If there was ever a time to display the changes I’ve been speaking and writing about, Chicago will be the place. Make sure you bring yourself early for the meet and greet they’ve got on deck as well! I know a lot of you have been asking when I’d be on my way back to Chi-town and this would be that time. Lets take advantage and share some positive vibes yea? -Good riddance to SOPA & PIPA. I get what they were TRYING to do; you just can’t leave yourself that kinda room in the writing to recreate “1984” (Orwell mentions in a Sugar D blog….NO WAY!?!?) on the internet. I propose my own bill for that whole situation. I call it, “Let’s not and say we did”. Any takers? -I gotta say, the NBA has really turned it up since doing this accelerated season to make up for the lockout. You’re really getting a sense for who’s out to play these days. In keeping with the change theme, the powerhouse “old guards” of the Celtics and the Lakers don’t look like the usual locks to win everytime anymore. It’s looking like a really open frontier for hoops this season and playoff time is gonna be rather on point. –EWF’s X8 Tournament will be taking place March 17th in Converse, Indiana. Get your tickets ASAP and please believe I’m looking mad forward to show some more Midwest love. This would also mark my first tournament of 2012 so I’m hoping to make a strong accounting for myself. Lets see what kind of tricks I’ve got up my sleeves (or would it be wristbands?) for this one. Check out my words for the tournament. -You are bound to know people who don’t know how to do “simple”. Complicated is what they do and it may drive you up the wall. My advice? If there brand of complicated don’t lead to ANYTHING productive, why dedicate the energy? Your sanity is a precious resource and is also subject to damage beyond repair, ya dig? Keep that in mind the next time you do a 12 round argument with a fool. -Billy Roc’s “School Of Roc: Class Wars”. Watch and support this program. I’ve had the pleasure of wrestling Billy Roc at Dragon Gate’s Indianapolis event last year. He’s as nice as he is talented, which he has in abundance. With that said, I’ve had the pleasure of crossing paths with many of his students and I’ve been impressed with their general work ethic and pure potential. This show will hopefully give you a glimpse into that. -A word before Valentine’s Day. If one day on the calendar is the best you’ve got when it comes to showing how much you love someone, rethink your strategy. Like any exercise or talent, it takes repetition and a performance stronger than the last to be done correctly. Don’t wait to be given an okay to do so. I’ve never heard “just because” being a reason why someone got mad at a grand gesture by their loved one. So I hope the couples, soon to be couple, singles, and those of the awkward relationship status find their way of enjoying V-Day. I’d hope they just find ways of doing it more consistently. Now go put on some Barry White and do something inappropriate! 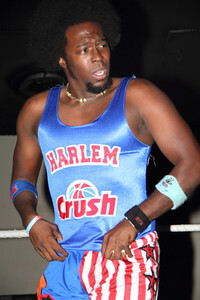 Sugar Dunkerton is not responsible for any repercussions of said inappropriate behavior. -Big thank you to www.barbershopwindow.com for carrying my lovely “Fresh Since 85” shirt! It was great working with them on the project and if you’re a fan of wrestling and WELL put together shirts, you wanna sink some coin into The Barbershop Window. Check em’ out. -I made a comment on a recent PWPonderings.com podcast (Get your listen on HERE) where I let it be known that some of the idols and inspirations I’ve come to meet during my travels weren’t all they were cracked up to be. Some for better, some for worse. It’s a funny thing when you reach heights that you’ve been clawing for. Oftentimes, you get an image in your head of what the view would look like. So to reach that peak and realize the view was a waste of the effort can be a crushing thing. So as a word to the “worse” I’ve met on my travels; if your love is lacking to the point where you place yourself above what happens between the ropes, the fans who put money into you, and the decency to show general respect to those that respect you…why are you here? What purpose do you serve? You not only ruin what the game is about; you ruin the feeling for those who look up to you. The future who wants to achieve and hopefully surpass the groundwork you laid. The irony is, some of the cats I speak of are bitter at the guys coming up in the business; yet have themselves to blame for being the crappy example they had to look up to. Set an example. Create positive change via your own action. Inspire. -Get well Jesse Sorenson and Dustin Rayz. Not much detail to get into on that one. And now I leave you with this…. You may wonder what the heck that has to do with this blog. Well, absolutely nothing at all. I just find it amusing. Besides, DO YOU SEE THOSE DANCES MOVES ON FLYNT FLOSSY?! Thanks for supporting in advance! Lots to blog about after a long silence. Expect some words this weekend 🙂 This shirt is ONLY AVAILABLE FOR A LIMITED TIME ONLY. Get em before they’re gone! BTW, shouts out to anybody that gets the reference in the title 😉 I miss WAR (Revisit it via the good people at IVPVideos.com on the cheap! Shamless Plug Over). Anyway, we start this entry on a bit more of a serious note than most. I’ve kinda been a bit reserved and had a bit of an uphill climb in recent memory. This tends to happen with your involvement in this crazy business of ours and while you MAY get used to it; it never feels normal. I’ve had a lot of personal changes in my life; things I usually will never let come to the surface when I step between the ropes. How could I let it? Between the ropes I’m free. At peace with the noise and excitement ya know? Of all the personal changes though, the matters of love usually hurt the most. I choose to address it because quite frankly, it needs to be. I don’t think we as wrestlers recognize what our professions does to us socially and those on the outside fail to realize it too. Wrestling has no off season, high risks, low rewards (depending on perspective), and most of all; the ability to estrange you from loved ones if given the opportunity. I remember watching documentaries and other features about wrestlers who ran the roads for our enjoyment; idols to millions around the world, but a stranger when they walk through their own front door. A ghost of a husband. It takes a special kind of person to love us for what we do. To understand that there’s always going to be a tug of war between the business and their loving hands. Frankly, it’s a portion of this business I hate so much. I have no problem telling ANYONE, I was nothing in this business for a number of years when I started. The dreams of exotic locales and rabid fans seemed like a distant memory because I always felt like I was missing something, whether my fault or other factors. So after years of limping along, the opportunities come along to change everything you know about what’s possible. To be the star and shine the way you’ve always wanted to. The only problem is…when you accept these chances, you WILL hurt people. You will be missing. The chance to build a normal relationship with someone you love, admire, and respect will be tested and tried at every turn. The worst part? If you actually do GOOD, it’ll only grow. I loved someone very dearly. For a long time. And in my rise from an unknown with a basketball making a CHIKARA debut to a wrestler people are keeping their eye on; things fell apart. The average stresses of “normality” (Check that Hitchhiker’s Guide reference. ), my own ambition, misunderstandings, and what not turned a gap into a canyon. The worst part, you almost can understand why they feel so raw about you. Perhaps it was best not to answer the phone for that one booking or just stay home and have the quiet dinner you’d been wanting to have for so long. Then you gut checked at 70 MPH. Wrestling is very rarely a “do over” thing. Either you’re there for the spot or someone else will be. If you don’t want the chance to be a star, fine. But isn’t that why we sacrifice ourselves? For that chance to rise higher than when we came in? The nature of the beast almost makes emotional ties outside the ropes a liability, where only the most Teflon of family, friends, and lovers can last the strain. Looking at both ends of the coin, it can be rough for both ends. There is no right or wrong per se’. Only the choice you made. My choice cost me someone very dear to me. What was already bleeding out is only KEPT alive out of mutual respect. But nothing will return to what it was. She’s gone her own way and all I can do is let her. It makes me wonder how many of my brothers and sisters of the ring wars are on those long car rides, less concerned about the match and more about what they left behind at home. For the average wrestler, it’s usually a lot. I’ve been told I’m very interactive. Very candid. One particular comment I enjoyed was, “There’s a realness to you when the lights are on bright that you just can’t duplicate”. It’s real because this is what I love to do. Interacting with people who understand that kind of passion and being a hero to some makes the struggles worth it. A lot of things in my life have been put on hold or died for the sake of making the crowd roar and pushing myself to the next level. The best of the best have remained by my side and even when I’m out of touch, they know I’ll be back; because my life when the lights go out wouldn’t be the same without them. White picket fences. Kids. BBQs. Cuddling. All that “normal people stuff” takes on a greater value when your bed most weekends is a hotel or a car backseat. Their importance dawns upon you as the bruises, cars, and injuries mount up. If you’re a member of the neglected who feel the wrestler in your life doesn’t care or has no heart for you, rethink your position. I’m very serious. Most of the time, we don’t sign up for this to watch it all fall apart when the boots come off. For my wrestlers, stay strong and think about how far you’re willing to go and what you can do to hold it together. If someone is important to you, let them know before they EVER get the chance to feel like that’s the case. They deserve that much for the patience they have to give you in the wake of being shared with the road. For the fans, you’re witnessing a father, brother, sister, mother, lover, and at base value; someone important to someone else give their time and best effort (hopefully) to make your ticket price absolutely worth it. Their sacrifice is more than you’ll ever know. The things you take for granted, we wish could go smoother in our own lives. Cherish them. Cause somewhere, there’s a guy with a pair of Converse’s and pretty large hair wishing things were different so he could have the same things. With that said, next week marks my return to Dragon Gate USA for their 9/9, 9/10, 9/11 events. I’ll be in the Open Invitational Elimination Match on the 9/9 show and the Bonus Cards of the following events. I have every intention of making your ticket purchase worth it. Also be on the lookout for me at CHIKARA Pro’s September 17th and 18th events in Brockton, MA and Manhattan, NY respectively. I’ve got some other cool news to announce, but we’ll wait til we get sooner to the date for that. For now, I can only focus on working harder and being the best Sugar D I can be. I hope the same for all of you out there. When you try to make things better, your situation usually tends to improve. As for who I lost. I think it was Shawn Michaels who said it best. Later days and hug somebody a little tighter than usual, yea? Long hard road ahead. Wish me luck! Punk wins the WWE championship; setting off one of the most exciting eras in WWE history. The talk of the wrestling world. Our -Howard Finkel voice- NEEEEEEEEEEEEEW Unemployed WWE Champion. Now I could bite other blogs and get into such things as…. -Where we go from here. But I’m not. There’s plenty of that to go around across the bevy of news sites, forums, and social networks you frequent. Besides, for those of us who followed his career from the days of Steel Domain, IWA-Mid South, ROH, etc….we knew a star when we saw one. It wasn’t a question of if he could run with the main event slot, it was all a matter of if the big leagues would let him. And it just feels plain good to see that happen for such a hard worker and genuine star. So in a change of pace, I’d like to share a story that’ll always stick out to me about CM Punk. I’ve never had the pleasure of meeting the man; but I get the sense from stories I’m told about him and his sheer humility in terms of his stature in the business, despite having the right to feel himself even a little bit, that I’d like him just fine. Also, I need you to remember this word and definition. crunk/krəNGk/Adjective: (of a person) Very excited or full of energy. Augusta, GA FINALLY gets a PPV and it goes down as one of the worst ones ever. Figures. Really? All that because I said….ECW December to Dismember? Okay, I’m not testing fate anymore. But yes, there was a time that Augustians were actually EXCITED to see this pay-per-view. It also just so happened me and my best friend, Dantae Robertson, nabbed two tickets in some pretty swank seats for the event. Our suspicions were high on the possible sucktitude of this show, but everything is more fun when you’re not paying for it! So we hopped in the Impala and headed on down to the newly renamed James Brown Arena to check out the ECW brand’s first pay-per-view under WWE. At this time, I’d been in the business a few years (way before I’d make any kind of real accounting for myself in the ring and WAY before a certain afro and basketball got introed into my life) and Danny always hit me up about information about indy wrestlers and wrestlers he didn’t know about. I’ve earned the nickname via Murder One (Of Rampage Pro and UWF fame. Hit him up at @MurderOne and tell him you’re looking for “FINE CHINA, babaloo.” :p ) of Computron 5000 due to my deep knowledge of all things wrestling. So it was only natural he’d ask me, “Who is CM Punk?”. I swear, he got an education that car ride. Punk was the main reason I watched ECW and was who I would have paid to see going into this show. He gave me faith that the indy star could get to the big leagues and still retain the aspects that made him special. Not only that, but he got to main event this show in the Extreme Elimination Chamber. Surely this’d be his breakout night tonight, right? Bottom line, when I gave Danny the rundown, I wasn’t just rattling off info. I needed him to understand that Punk was a revolution waiting to happen and that the next star was in the making. I knew this because it had already been on display numerous times. It was the best i could do to describe him at the time. And the fact that I couldn’t make comparisons intrigued Danny, because he’d have to see him at work himself. Fast forward some hours later; we’re in our seats and strangely geeked up for two guys that had sat through what guys around us called a “glorified house show”. But again, no money out our pockets; so we were having fun for what it was. Finally, the main event came. Killswitch Engage thundered over the speakers and the arena came alive for this tattooed anti-thesis of everything WWE was pushing at the time. And it was awesome. The Augusta crowd received him quite well and for me, it was no ROH show with side banners to slap to the drum beat of “Miseria Cantare”; but it was close enough. Was finally gonna get to see him do work live and it was just a great feeling. Then it got even better; he entered the ring to take his place in one of the chamber pods…. …the chamber pod right next to our section on the floor. I couldn’t resist. Now, I was fortunate to have been in a section with some good-hearted folk that didn’t mind some crazy chants throughout the night. So it had to be done. I had to see if I could get away with it. Soon a few voices joined along, and eventually, our section was loud enough in the chant to catch his ear. What happened next completely threw me off guard, but showed me the kind of cat he was. It lead to a story I’d tell for fun which I’m now sharing with you guys. Punk proceeded to turn around in his chamber, which struck me as odd given I thought the average guy would be immersed in the “big match situation” he was currently in. Regardless, he turned to our section; listening through the chamber pod at our chant. He then tapped the glass to get our attention, the tap as effective as a mute button. Most of all, I hope he realizes that taking the word “crunk” for the base meaning…CM Punk is exactly that. A lot of people enjoy him and admire him for different reasons. I think I do because he’s accomplished the extraordinary, but has remained humble in thought and action even when he sits atop the throne. In all my years of watching wrestling and being apart of it, you’ll have many constantly speak at the highest of their lungs how great they are. How good they are. Real power, is when the people KNOW you are; without any words being spoken. I’m proud to have lived in a time where this has finally been displayed. things disappear and he lets them go. When his work is done, he forgets it. Subscribe to The Halfcourt Lounge! Enter your email address to subscribe to this blog and receive notifications of new posts by email. It's THE way to know when to check out The Halfcourt Lounge with stories, pictures, and more from Sugar Dunkerton. Put Me In The Game! IVP Videos - Awesome source for Lucha, Puro, & other wrestling. GREAT PRICES! 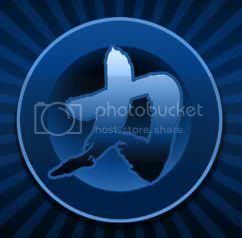 Home of DGUSA, EVOLVE, & FIP iPPVs; LIVE and ON-DEMAND! Check out Some of the best in wrestling! Sugar D Presents: Hot Chocolate. Converse Website. Home of The All-Star's! 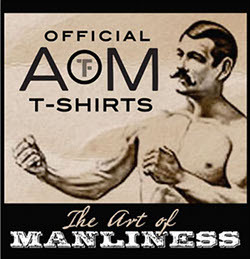 The Art of Manliness. One of my favorite blogs on the net. MANTASTIC! Rampage Pro Wrestling. Some of the BEST pro wrestling in GA! Splitreason.com Some of the funniest, creative geek/gamer wear I've ever seen.